Buying sheets can be a confusing task. The options are plenty, and the differences can seem minimal. Yet it’s important for your sleep, and thus your health, to make the right decision for you. And a lot of that decision comes down to the very material they’re made of. 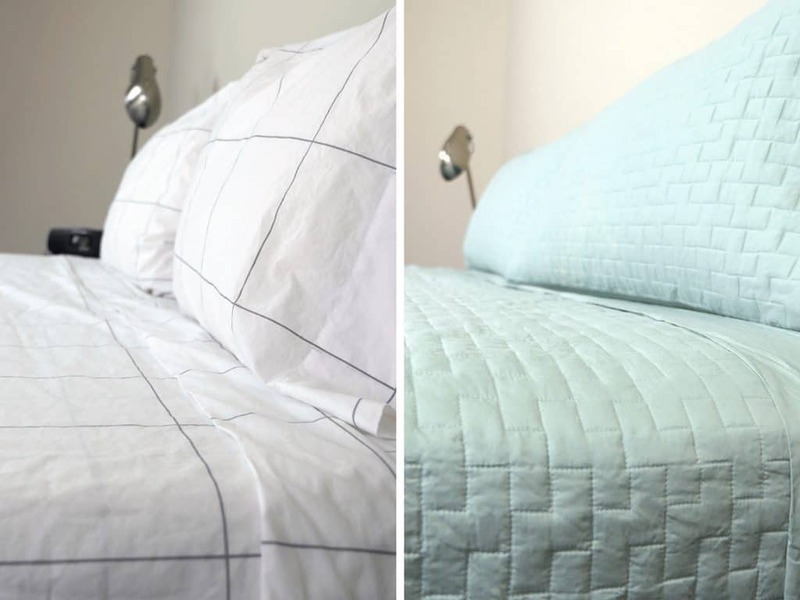 Here’s a comprehensive guide to the differences between Tencel and cotton bedsheets. Tencel is a brand name owned by Lenzing Fibres, meaning rayon or lyocell. It’s a fabric made out of cellulose from wood – more specifically, eucalyptus trees. It’s a fairly new innovation to the bedsheet market, first developed in 1972 and gaining popularity since, and not quite so well known. Rather than being woven out of fibers from the cotton plant, Tencel fibres are created from the pulp of eucalyptus wood. This pulp is dissolved and spun into fibres, which are woven together to create an extremely strong yet smooth fabric. 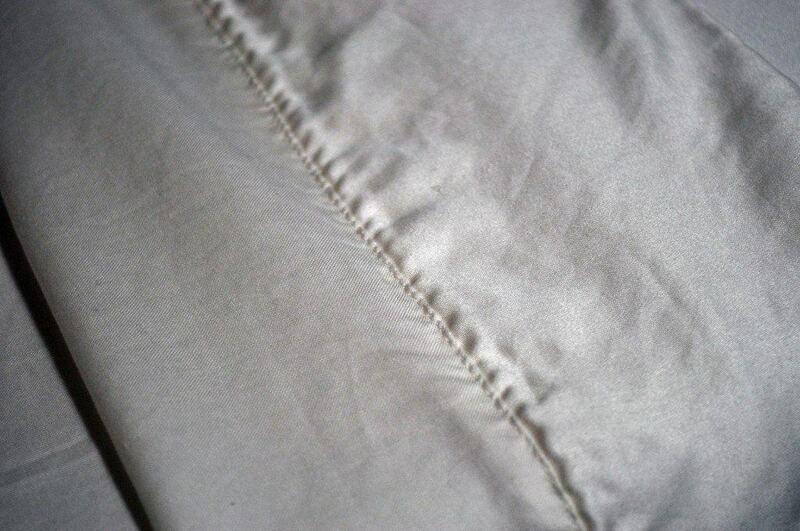 For the sake of this piece, Tencel sheets will be the term used in place of rayon or lyocell. Cotton is a fluffy fiber which grows on the cotton plant. It’s been used for a really long time (at least 7000 years) in all types of fabric production, particularly bedsheets. For some, it’s viewed as the bedsheet gold standard. One of the biggest issues people have with cotton is about the huge disparity of quality within the category. Egyptian and Pima cotton are often considered the best quality cottons on the market. This is because of their longer and thinner fibers, which allow for a higher thread count than other sheets labelled 100% cotton. They are also grown from plants with very little lint, so are very unlikely to pill. The difference in both feel and lasting power between Egyptian or Pima and other, generic cotton can be significant. Thread count is often thought of as the only way to judge bed sheet quality, but it’s really only one factor, and only really applied when talking about cotton. There might be something better for you outside of the world of cotton, and that material may very well be Tencel. The main differences between Tencel and cotton sheets can be broadly broken down into seven categories. Tencel is typically sourced from renewable eucalyptus trees. Making fabric from wood pulp is sometimes more efficient than from cotton plants. The growing and cultivating of these eucalyptus trees keeps an eye toward staying environmentally conscious, reducing the need for pesticides or irrigation. Very little water is needed for the production of Tencel. A main environmental criticism of cotton is the large amount of water it needs to be produced. Furthermore, Tencel is made with a closed loop process. In this, loose fibers are recycled back into the material, meaning it’s a very low waste method of creating fabric. As things stand, it may seem that Tencel has the edge on sustainability. But keep in mind the amount of production is incomparable, and therefore any claim on differences of sustainability is probably an estimation at best. Tencel fabric tends to be softer than cotton. This softness is because it has a very smooth surface up close. This not only feels good, but also makes it very non-irritating even to sensitive skin. It counters some of the common drawbacks of cotton bedsheets, namely their tendency to be scratchy and rustle noisily. However, cotton can also make for an extremely comfortable bed sheet, and it typically becomes softer and smoother over time. Tencel is made of very tiny little fibres which are hydrophilic – literally “water loving.” This means it absorbs moisture away from skin. Nonetheless, cotton is also very breathable and generally non-irritating on the skin, and hypoallergenic. 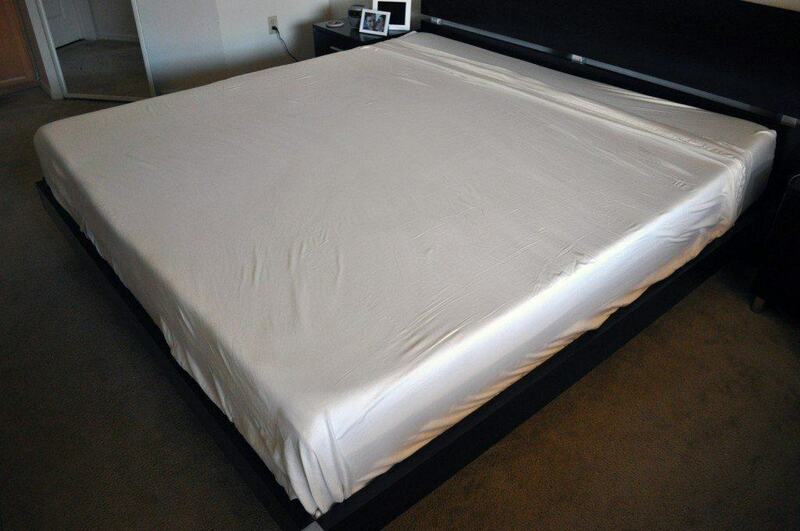 If you aren’t having any significant problems with your cotton sheets, changing things may not be strictly necessary. The hydrophilic quality of Tencel means it’s much more efficient at keeping the body cooler while sleeping, working well in a wide variety of climates. It feels extremely breathable, as all night time sweat is wicked away from the body. Coolness may be a deciding factor for those with high body temperatures who find that gives them trouble sleeping. Cotton is also a comfortable bed sheet in terms of heat, thanks to its breathability. Although it isn’t as absorbent as Tencel, for the majority of us it managed body temperature perfectly. Tencel is typically less wrinkly than cotton, and fairly easy to care for. It washes well – clothes made of Tencel less likely to shrink or misshape in the wash. Plus it’s very long lasting and not prone to becoming thin over time. Cotton, too, is durable, and unique in the fact it can actually improve with time. A set of Egyptian cotton sheets can last up to fifty years! The high absorbency of Tencel fibers that makes the sheets smoother, cooler, and more hygienic also makes them dye very well. They are typically both more vibrant and less prone to fading over time. Cotton has more of a crisp, matte look than Tencel. It also takes dye extremely well, and isn’t excessively prone to wrinkling. This really comes down to personal preference. In comparison to good old cotton, Tencel can be rather expensive. Production of Tencel sheets tends to be a costlier process than for most cotton. 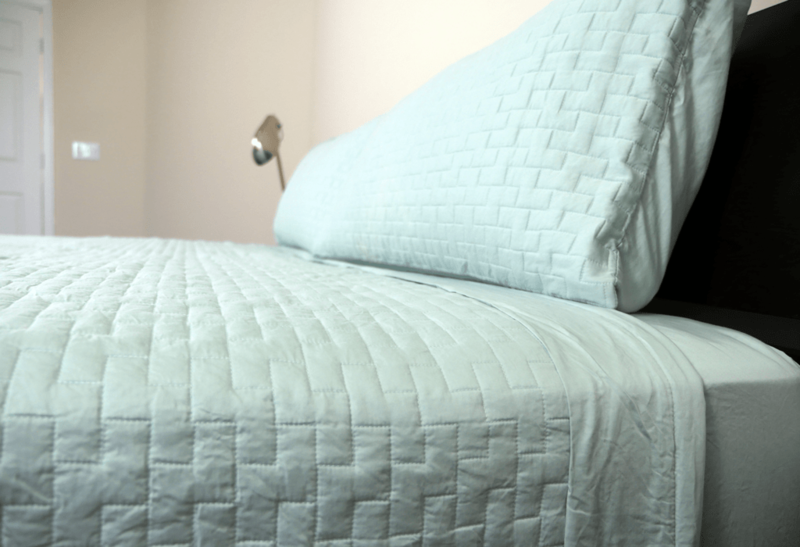 However, Tencel bed sheets could end up being longer lasting and save you time on washing and ironing, which makes the cost difference somewhat difficult to quantify. Nonetheless, if you’re on a tight budget, cotton is well known to be good value for money. It lasts a long time and is suitable for the majority of bed sheet needs. All signs point to no. Rather than creating a better fabric, blends of cotton and Tencel don’t tend to retain the best of both materials. On this conundrum, it’s better to go pure. There are, of course, benefits and drawbacks when it comes to both Tencel and cotton. Tencel may be a better fit for those with slightly more specialized needs, such as very sensitive skin, issues with body heat, or concerns about hygiene. It’s also a great choice for those who value luxury. Nonetheless, cotton certainly has its own benefits and isn’t necessarily an inferior bedding choice. While cotton is by no means perfect, there is a reason it’s so ubiquitous when it comes to bedsheets. Often, the right purchase will come down to preferences on smoothness and feel. I purchased some Tencel sheets from West Elm and they are totally shiny, like satin! So tacky! I own Tencel clothing and it does not have a sheen. I also do not like how thin they are. I can feel the edges of my memory foam pillow through them. Unfortunately, I do not think West Elm has the same return policy as Bed Bath and Beyond, so I guess I’m stuck with them. They’re comfy, but I think pima cotton with a sateen finish, (not percale – those rustle like paper bags!) was what I was looking for. Smooth and soft, but has more weight and substance than Tencel. Since West Elm does not have reviews on their website, take my word, they are exactly as I described them. That may or may not be what you are looking for. Does anyone know how much tencel products costs per kg? I am recovering from contact by touch, a chemical dye allergy. It involves rubber, blended fabrics, azo dyes, including fragrances in moisturizer’s & soaps. Cotton is the best suited fabric. My dermatologist instructed (7th doctor) me how to overcome my allergy. Cotton is the best overall. Our skin is the organ that protects us. Who in their right mind irons sheets. Even my mother wasn’t that bad. I have 4 shirts made from Tencel that I bought 22 years ago. They are just starting to show some wear now. They are comfortable in summer & winter. I just purchased a mattress with a Tencel cover. It really is a great fabric. Going to look for some Tencel sheets next! Catherine Zeta on QVC has your sheets! I just bought them and love them!!!!!! I have bought 3 sets of tencel sheets from Bed, Bath & Beyond. The first set I loved, like sleeping on silk, lasted less than 1 year. 2nd set faded, and 3rd set is hot & wrinkles horribly. You would never know they were the same brand. All 3 sets fill the lint screen which is why they disintegrate so quickly. So sad, they were (1st set) so wonderful to sleep on for someone who’s hot at night. It doesn’t seem to matter how much I pay, I keep getting sheets and pillowcases that are too soft and thin. Obviously I’m not using the right metrics, as thread count doesn’t seem to help. I’ve paid high prices on Woot for queen sheet sets that supposedly retail for upwards of $200, and was very unhappy with how thin the sheets. Soft is overrated as a useful description in my book. In my youth, I remember my parents and grandparents talking about percale as the standard — but I’ve tried that and been disappointed as well. I’ve also tried a brand advertised as Egyptian cotton — the best sheets available, and saw no improvement. I know that a thin sheet means less material content which equates to lower material costs, so I’m assuming all of these observations are connected in ways I do not fully understand. All I really know is that I want a cotton sheet that has substance, meaning thicker, more substantial — the kind that Sears and J.C. Penny sold in the 50s. Flannel sheets are thick and great in the winter. The Company Store has cotton sheets that are substantial and have a crisp, cool feeling. I bought a top sheet by itself, because I needed a king sheet long enough to tuck in on an 18″ deep Queen sized mattress. It feels hefty like sheets used to feel and I am pretty sure it will last a long time. Hope this helps. I purchased a set of kings sheets that were 1000 thread count made by Steven Madden, they are awesome. I think you would be happy with these. I have difficulty finding 76 x 80 king sheets. 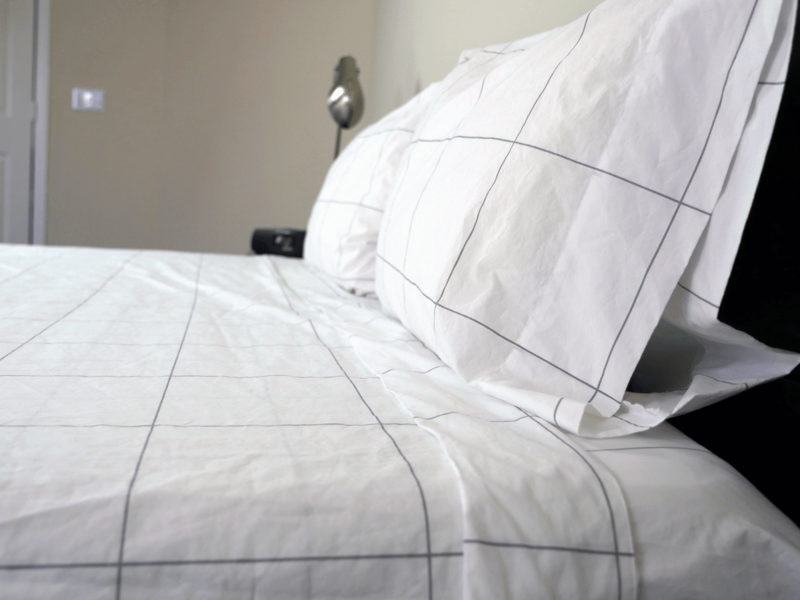 Is ‘universal’ fit touted by Tencel sheets valid?